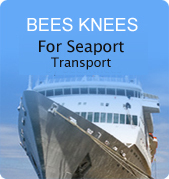 At Bees Knees we aim to provide a service that is a cut above the rest. With reliability, punctuality, professionalism, and value for money as standard your staff and visitors can rely on us when travelling to the airport, attending meetings or business lunches. We offer an excellent range of vehicles including executive cars. We are council regulated with professional uniformed drivers who work hard to make your journey stress free. Our years of experience enable us to provide an excellent level of service – interpreting your needs and reacting to the changes that can often arise, are all managed with a level of professionalism second to none. The majority of our corporate clients have an account with us. By providing monthly itemised invoicing, making an easy and efficient solution for your company. Please contact the office for further information.